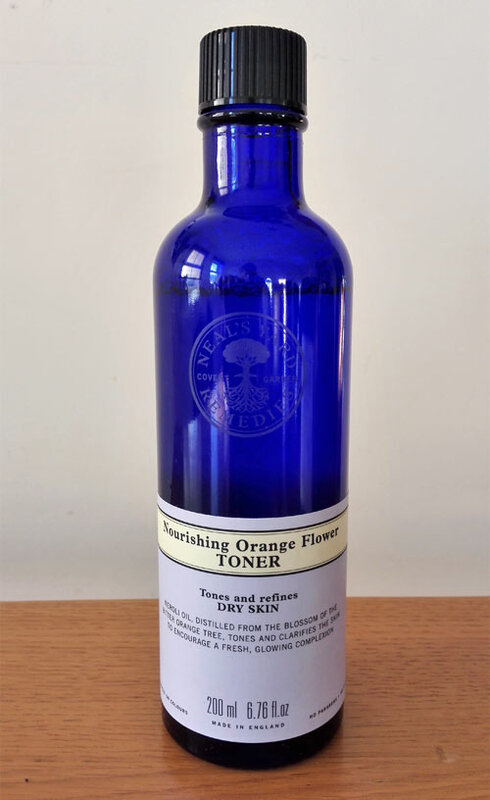 It feels like a long time since I finished a bottle of Nourishing Orange Flower toner from Neal’s Yard Remedies. For a change I decided to buy a product which wouldn’t match my skin type. Although I consider my skin type to be combination I chose Nourishing Orange Flower toner which is suitable for dry skin. At that time I was suffering from quite dry skin and thought to give this toner a go. 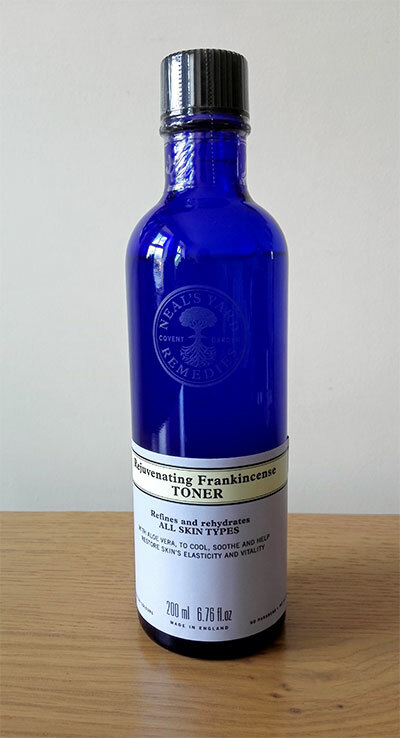 I have previously tried Rejuvenating Frankincense Toner from Neal’s Yard which I didn’t find particularly hydrating so I had high hopes for Nourishing Orange Flower toner. I did try it on a patch of skin in the shop first and my skin felt softer and smoother afterwards and on this basis I decided to buy it. Like other skincare products from Neal’s Yard range Nourishing Orange Flower toner has a nice natural scent to it and contains no mineral oils, parabens, glycols, phthalates and other harmful ingredients. The product is certified organic and it’s cruelty-free, suitable for vegans. 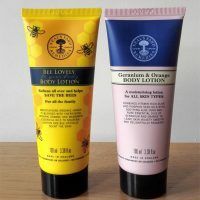 It comes in a blue glass bottle of a generous size (200ml) which normally costs £16.00. I definitely found this toner more nourishing than Rejuvenating Frankincense Toner but it wasn’t as hydrating as Botanicals Mandarin & Chamomile toner which remains my favourite toner ever. I must mention though that this toner contains alcohol which some people find that it makes their skin worse not better. I didn’t find this a problem and it definitely didn’t make my skin worse (Botanicals toner also contains alcohol but it made such a big difference to my skin and I would happily buy it again). My skin felt softer and slightly hydrated after use and I never had any problems with this toner (no breakouts!). Apart from orange flower (Neroli) oil you will also find aloe vera and glycerin in this toner. The latter is what helps skin feel more hydrated I believe. 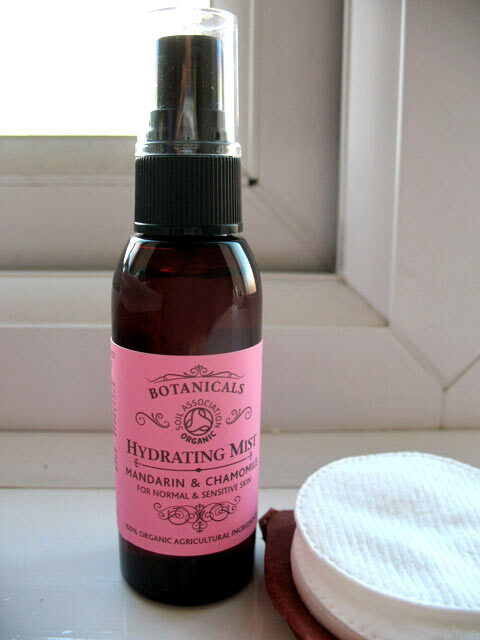 When I bought Nourishing Orange Flower Toner I was hoping to find an affordable replacement for Botanicals Mandarin & Chamomile toner but unfortunately to date I still haven’t found anything which comes close to Botanicals’ toner. I will continue looking but don’t let this stop you from trying this toner. It’s a good quality toner with organic ingredients and really affordable. Have you tried any toners from Neal’s Yard Remedies yet and what did you think?